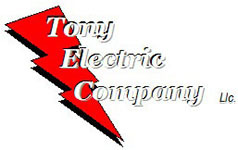 Tony Electric Company is an electrical contracting company; serving the needs of Commercial, Industrial, and Residential customers for electrical design, installation, repairs, and maintenance for over 12 years. The top priority of our company is to completely satisfy our customers. Our company based in Hackensack, New Jersey, serving all parts of Northern New Jersey and a great portion of Central New Jersey. We stay on top of cutting edge technology in the electrical profession so that we can provide the latest innovations in electrical systems to our customers. Our mission is to improve your quality-of-life experiences in every way by designing, re-designing, and upgrading your electrical systems. We provide energy efficient systems to our customers – residential, commercial, and industrial. We value our relationships with our customers and therefore approach each job with professionalism, integrity, honesty, and fairness. Our Pledge is to exceed our customer's expectations through our performance.